Released in September 2008 by Immunity Inc., DR RootKit  implements system call hooking within Linux 2.6 kernels without modifying the system call table or the interrupt descriptor table. To do this, it places a hardware breakpoint on the syscall handler. This trap places a memory watch on the syscall_table entry __NR_syscall, which is used to export system call numbers. Basically, the rootkit behaves like a debugging tool, waiting for specific system calls to be executed, and when it sees them, it modifies them on the fly. 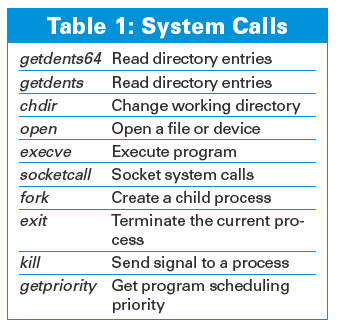 Currently, the DR RootKit hooks the system calls listed in Table 1. The DR RootKit includes capabilities such as hiding processes and preventing hidden processes (meaning that the attacker can run software that is hidden, and you can't kill it even if you manage to guess the process ID) from being terminated. Using the examples provided with the package, it is relatively easy to extend and create additional modified system calls. For example, you might want to modify the capset so that you can set process capabilities at will. The rootkit itself is a loadable kernel module, which makes it easy to insert once you have compromised a system, but like other memory-based rootkits, a system reboot will remove it from memory. As you can see, even a minor modification can have a significant effect. Suddenly, the process with ID 12345 will always have all capabilities, allowing it to do pretty much anything it wants. With just one system call, an attacker can create an effective backdoor. Virtually the only way to detect this rootkit is through the measurement of timing or race conditions that are introduced by the rootkit. If a rootkit is present, the system should run a little slower than usual, but measuring this reliably is not an easy task, especially on production systems. Also, the software is relatively simplistic and can be extended easily to hide itself better, making detection even harder. Of course, you can compromise a system and retain access in other ways while also staying hidden. Another penetration testing software company called Core Security  has taken the approach of injecting hostile code into the process that has been attacked. For example, if you exploit an Apache httpd server, you can inject code into the process that will allow you to have remote access. This technique is somewhat limited compared with a full kernel or hardware-based rootkit, and it also is less likely to affect the entire system, making it stealthier. The primary disadvantage of this technique is that operating system-level protection mechanisms, such as SELinux, will still be able to enforce security policy. However, for targeted attackers, this is often not a serious problem because they can either use local exploits to compromise the system further or stay within the behavioral confines of an SELinux policy and still extract information or use the system to execute other malicious attacks. The good news is that by going to the hardware level, the attackers have (conceptually) run out of room to go. The bad news is that any number of hardware tricks can be used to maintain control over a compromised system. For example, a modern graphics card typically has direct memory access (meaning it can do pretty much anything it wants to the system memory without the operating system having much say in the process), its own onboard memory, and a large amount of processing power (to the point where people are using them as a poor man's computing cluster). Newer cards have flash memory to hold firmware that can be updated from software, and I have no doubt that one day, people will be working on how to use your video card to maintain control over a compromised system. 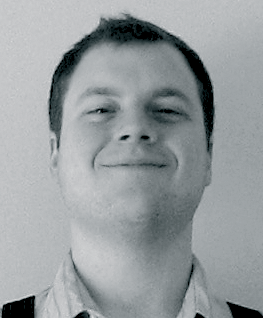 Kurt Seifried is an Information Security Consultant specializing in Linux and networks since 1996. He is married and has four cats but no fish (because the cats are more hungry than afraid of water). He often wonders how it is that technology works on a large scale but often fails on a small scale.